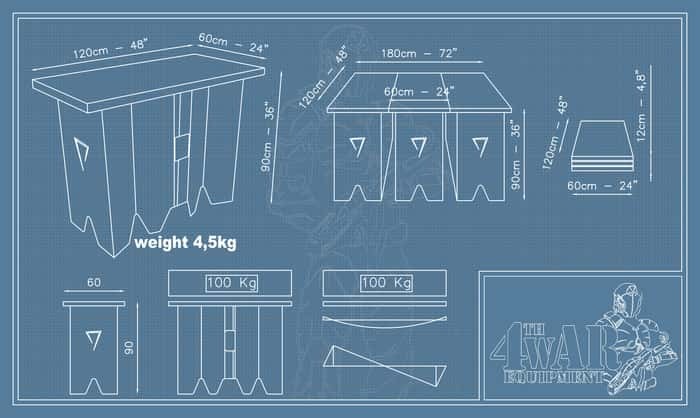 4th War Equipment Cardboard Table ... Identifying a need and wishing it to satisfy are the marks of real inventors. 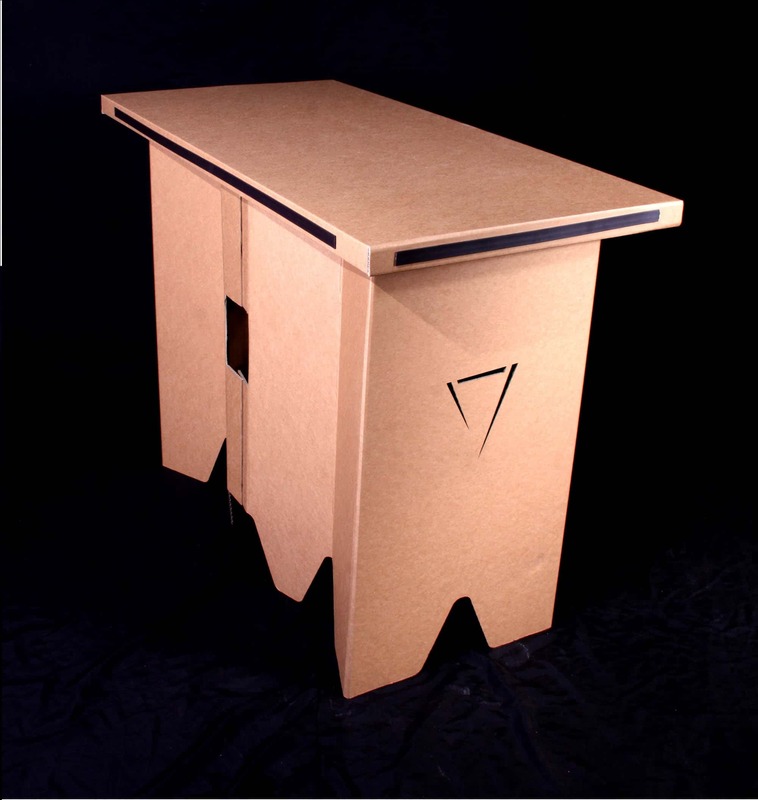 The fusion of Italian creativity and a pragmatic spirit, two years of planning, ten prototypes and thousands of stressful hours with young designers and players delivered a fully customizable cardboard table with futuristic features and an attractive design. The kickstarter has already been launched. There are 30 days to establish whether this project will be a market reality or whether it will remain an idea. Staff have tested the tables resistance in fun and hard ways in order to show how strong and durable a poor material can be. The cost is shockingly low. The pictures also demonstrate the flexibility of a product that can be used by players. It can also be used by shop designers and temporary stores. To sum up, this is a project that deserves support in order to get on the global market!